Michael Milne writes about classic cars, car museums and road trips for the Philadelphia Inquirer, Hemmings Motor News, Hagerty, AAA and other publications. 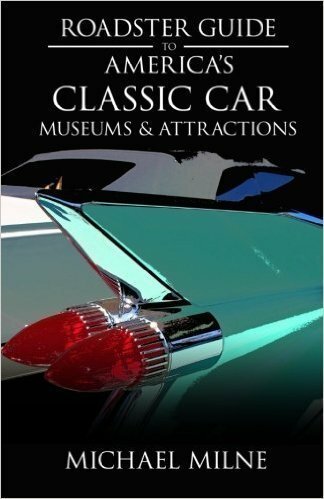 He is also the author of the Roadster Guide to America’s Classic Car Museums. The book is the the result of an epic two-year road trip across America. As a result of this journey, he claims to have visited more car museums than anyone in America. Who knows, maybe he has. Enjoying a 1960 Ferrari at the Haynes International Motor Museum in England. Unfortunately, this is not my car.